Very informative and eye opening visit. The doctor took time to listen to my history and make recommendations and also recommendationsthat the clinic did not provide that my physician could. It was a wonderfully educational experience and i highly recommend it. Very informative and eye opening visit. The doctor took time to listen to my history and make recommendations and also recommendations that the clinic did not provide that my physiciancould. It was a wonderfully educational experience and i highly recommend it. The "nurse" that took my blood pressure didn't know how to use the machine. Took forever just to get that done.She asked all the questions that I filled out on the form. All she had to do was look at it. I've been getting the lipo-shot for months and for some reason, when she injected me, it hurt more than usual. I had a baseball sized swell in my arm and it was excruciatingly painful for three hours after. It still hurts today, but is manageable. The "nurse" that took my blood pressure didn't know how to use the machine. Took forever just to get that done. She asked all the questions that I filled out onthe form. All she had to do was look at it. I've been getting the lipo-shot for months and for some reason, when she injected me, it hurt more than usual. I had a baseball sized swell in my arm and it was excruciatingly painful for three hours after. It still hurts today, but is manageable. 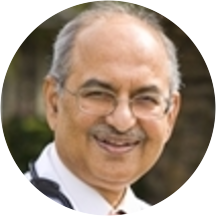 Naras Bhat, M.D., FACP, Board Certified in Internal Medicine, Allergy, Sleep Medicine, and Obesity Medicine (Bariatrics), He is also certified/qualified in Stress Management. Dr. Bhat is trained to detect and treat the risk of overweight-obese conditions that might go undetected in non-medical weight loss programs. Born in India and educated in the West, Dr. Bhat connects Eastern disciplines with Western high-tech medicine. I was seen by Dr. Junaid. Very professional. Very very smart, knowledgeable and a overall excellent doctor. Dr Bhat is the best. He is highly knowledgeable about weight loss, obesity, and diabetes, he is the man that you want to see if you want to reduce your weight quickly and efficiently. I've already lost 6 pounds in thefirst week with Dr Bhat and I highly recommend him for anyone who wants to lose weight with a sound program. The Doctor was knowledgeable about the medications they provide for diet but I felt like they didn't make an effort to come up with a meal plan specifically for me. I was given the general brochure they give patients that wantsto lose weight and told me I just have to figure it out how I'm going to prepare my meals to follow their plan. The issue is I don't have a kitchen I can cook right now and I know I can't follow that plan. By the check out time I saw some products they sell as meal replacements and I asked about it. Maybe if the doctor cared to help me with a diet I can actually follow, she could have taken some time to explain what meals I could replace to be more successful achieving my goals etc. I just feel like I'm on my own and don't have much support. The diet pills are only given every 2 weeks so you have to pay for another consultation. I know for a fact that phentermine is controlled in CA but you can get enough pills for one month. This clinic chooses not to give you enough pills for 30 days to charge another consultation and make money. I do understand if you have to go back in 2 weeks to record your progress but it should be a follow up appointment (meaning that you shouldn't have to pay again). I am a bit frustrated to feel no support from them. He made me feel bad about myself. He was very helpful , gave me a lot of information . I can tell her cares about his patients. Dr. Bhat is very knowledgeable and his program works immediately if you follow the instructions you are given. Very knowledgable and great listener! I liked the support staff. with the doctors tho I felt rushed and sort of generic and invisible, I heard what was clearly the standard spiel, which is fine except that at no point was I asked for my details. obviouslydidn't read the 3 pages I completed. I'm happy I went cuz I'm so desperate and I ultimately got what I wanted. Waiting room is a little shabby. The place is questionable. ..almost left, as it took @ 1/2 hour for the receptionist to give me the paperwork to complete, then it tool 20 minutes after that to be seen. The place is also shabby- needs a good cleaning.However, the professional staff was awesome. Couldn't be more pleased with their knowledge and hiw thorough they were. It went very well just like the others in the past. They were very nice. I usually feel very self-conscious about my weight but they were very understanding and caring. Informative ! Supportive of my struggles. Overall my service was great! The doctors were truly concerned with my health. Reception staff need customer service training. I will return and recommend others. Thank you. I probably only waited ten minutes before I was seen my an assistant and that included filling out new paperwork as a new patient. I was impressed and Dr. Bhat was very good! I had a great experience coming into the office and leaving as well. The Dr. Appointment was fast and very informative I love all the feedback and suggestions I got from Dr. Baht. The main receptionist is so sweet and nice& really knowledgeable. I love coming here and I cant wait to see my progress in the weeks to come. Dr and Mrs Bhat and team are worth their weight in gold! Dr. Bhat went through recommended treatment options, pros and cons of each and alternatives, and thoroughly explained all issues. I left his office feeling confident in the plan he gave me and much more knowledgeable overall. His office staff is very friendly. Good information about good bacteria in the gut but I wish he were more forth coming in "details" without me asking questions. Could have shown a bit more interest in my concerns by backing up my statements with "possible reasons" and"possible solutions". Felt as though he was little rushed & disconnected with me. Took 20m for Dr. to come into room, normal I suppose. Cleanliness and organization of first room needs attention. Very easy to talk to about any concerns. Very nice Doctor. I am happy with the service and honestly think he cares about the health of his patients. They listened, they care, and they motivate. I didn't know what to expect since this is my first visit, so I am happy to say that I have found my weight loss partner. Concord Weight Loss Clinic is a one stopshop with options. I immediately trust their knowledge and expertise. They gave me recommendations including questions for my primary physician, and that proves they care. I feel accountable and I need to own that accountability to be successful in the long-term. I appreciate the heart-to-heart on needing to do my part, and on being realistic with my goal setting. I am truly happy with my visit and look forward to my follow-up. Dr N Bhat was wonderful , very friendly and easy to talk too. His wife explained the program very well and took the time to answer my questions. She took the time and I didn't feel rush . Daisy was sweetand so was Ashena. Staff was nice and friendly . Definitely recommend ! Friendly and knowledgable staff! They take their time to talk to you and make sure you understand the program. I don't know how the office handles other clients, but I was there for weight loss and received little to no counseling. I was just given a booklet and medications and instructed to return in 2 weeks. Maybe it was areally short visit because I used a living social deal. This was my first visit to this office but I was treated well. Acknowledged as soon as I walked in by the receptionist. Given forms to complete and as soon as I completed them was called to go in to anexam room. A few minutes later doctor came in. Dr. Bhat explained the program and answered my questions. Very friendly, professional staff and personable doctor. Highly recommend this practice. I didn't have many expectations going to see Dr. Bhat, but am disappointed overall with my first visit. I felt very rushed and here was an awkward greeting with is getting right into "business." When he left the room, I didn'trealize that was the end of our appointment. I won't be extending my treatment with this office. I'm glad I saw Dr. Bhat. He was ready to answer all my questions. Look forward to seeing him again. Very professional and great bedside manner. Very efficient. But it was a little bit rushed.